The Park Riverside Premium project is one of the prominent projects in the East of Ho Chi Minh City. 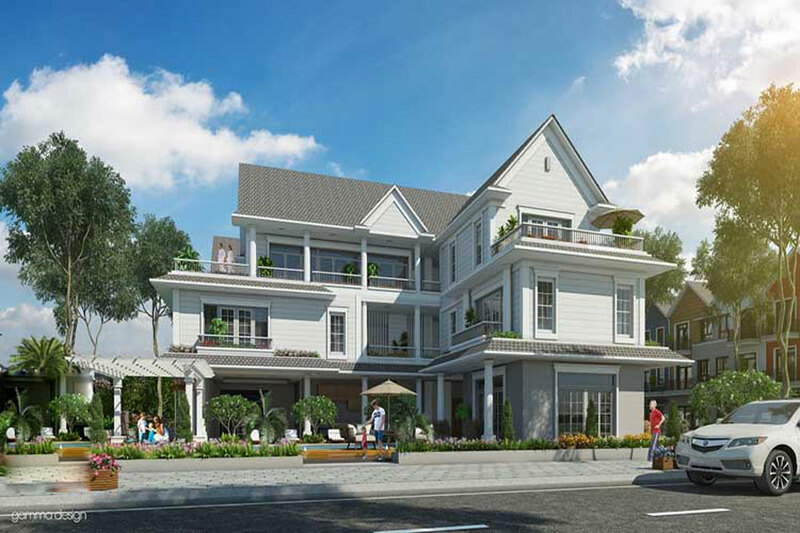 Let Realestatevietnam explore the advantages of a single-family villa project Park Riverside Premium District 9. 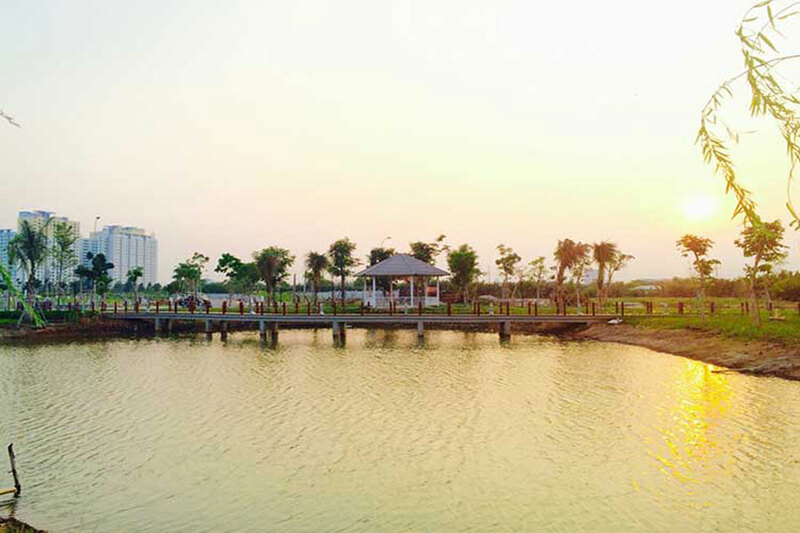 Park Riverside Premium single-family villa with a two-sided advantage on the river, is a resort living standard resort. In addition, the project also has a landscape of 1.2 hectares, creating a miniature urban sprawl of the romantic Venice. In particular, the architecture of the single-family Park Riverside Premium also brings a special highlight thanks to the different colors of monochrome, to form a living space brilliant, fresh. This idea comes from one of the most famous satellite islands in Venice. 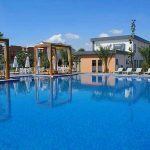 In addition, the landscape design at Park Riverside Premium single-family villa is a harmonious combination of green leaves and water to create a beautiful natural picture. Along with a series of resort amenities, Park Riverside Premium easily conquered the most difficult customers. 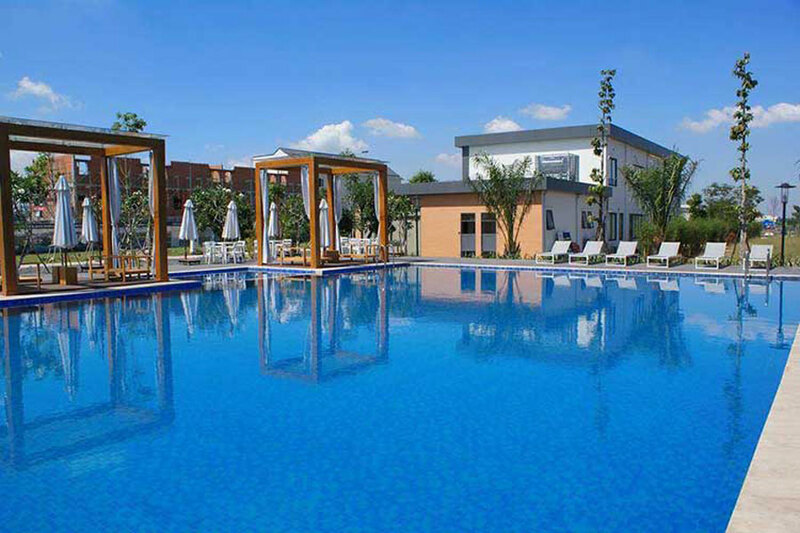 Facilities such as swimming pool, BBQ, outdoor playground, gym, spa, clubhouse, marina … are fully integrated by MIKGroup investor at Park Riverside Premium. MIKGroup has been recognized by the market experts and market as one of the most prestigious real estate investors. MIKGroup owns many awards such as: Top 10 leading investors in Vietnam by BCI Asia in 2016. A series of projects from medium to high segment developed by MIKGroup such as Imperia Garden, Imperia Sky Garden and Valencia Garden in Hanoi. Projects such as Imperia An Phu, Villa Park, River Park, Park Riverside in Ho Chi Minh City. 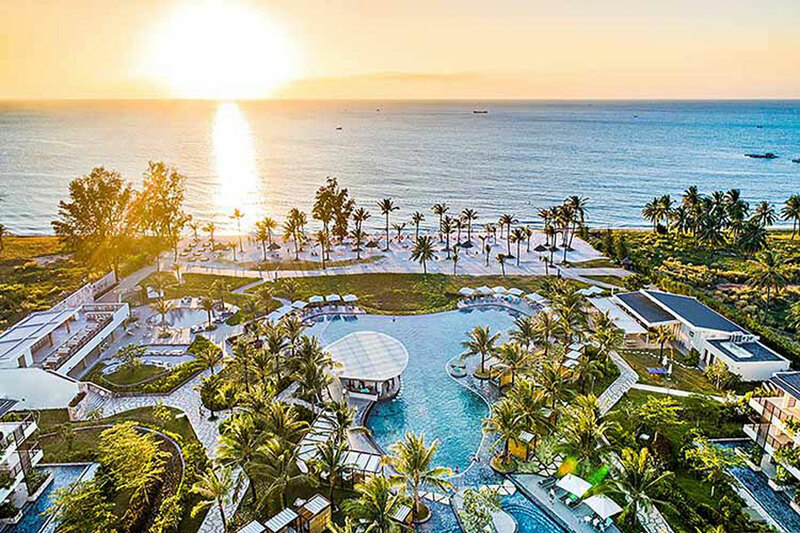 In addition, MIKGroup has also developed some of the latest luxury resort projects such as Sol Beach House, Movenpick Resort, Crowne Plaza Phu Quoc Starbay, etc. All these projects are well received by the market. positive way. With the Park Riverside Premium project, is inheriting the success of the project from the investor MIKGroup. Currently, Park Riverside Premium is the only park Riverside Premium. Park Riverside Premium is the pioneer project for customers to choose the color exterior paint. Customers of the Park Riverside Premium single-family villa project can choose their own exterior colors on the board’s color palette. This has given Park Riverside Premium the excitement from the moment the project is on the perspective drawing. In addition, MIKGroup has dedicated a team of professional and creative architects, helping clients own single-family villas Park Riverside Premium custom designed to your liking. At the same time, the owners of Park Riverside Premium single-family villas can also change the use of interior space. Each of the Park Riverside Premium single-family villas is built on land ranging from 300m2 to over 600m2. These are the most beautiful locations in Park Riverside Premium. – Management unit: JLL (top US management unit). + Stage 2: Park Riverside Premium includes 319 units including townhouses, shophouses, duplex villas, single villas. – Water surface area: 1.22 ha with 2 large regulated lakes. You are reading the article Three advantages of Park Riverside Premium villa in the East in the Real Estate category at https://realestatevietnam.com.vn/. Any information sharing, feedback please contact through Hotline 0909890897 (24/7) or email to info@realestatevietnam.com.vn.